Last week, Anna Nyakabau, Sr Lieske and I ventured to Marondera in Zimbabwe and held a two day Breast Course for Nurses. The first day was over-subscribed and we ended with attendance by 80 health care workers. The majority were midwives and registered nurses. Marondera is 70 km east of Harare. We were taken there by Chenjerai, from Island Hospice, who are based in Harare. As they don't have in-patient facilities he has to work from his vehicle and all their care is given on an outpatient basis. The hospital is a district level hospital with an emergency unit, theatre and a busy maternity and baby unit. Over 1500 cataract operations are performed each year. General surgeons from Harare also do out reach theatre lists on a weekly basis. Marondera has a well established school of nursing and about 50% of the students were midwives. We asked them how they coped with the challenge of communicating with patients in Shona/Ndebele as many of the words used for the management of patients with breast cancer do not exist in vernacular languages. Their feedback will be a valuable source of local knowledge and I am looking forward to analysing their responses. The most interesting sessions for me are those where I learn more about the community: the palliative care session, run by Dr Agnes Terrerai and Chenjerai Bhodeni, and the afternoon session on outreach programmes. Having discussed various interventions that may make a difference to women's understanding of breast cancer, there was consensus that the best access to the older generation was through the younger generation. 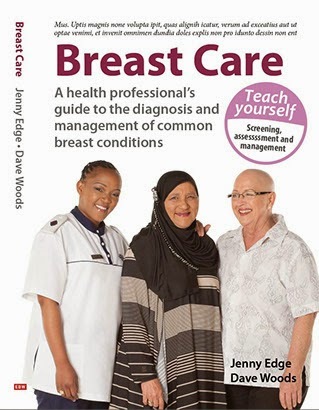 I found it fascinating that in a community with a culture of respect towards the older population, all the participants felt that eduction at school level would result in the children teaching the older generation about the signs and symptoms of breast cancer. Many thanks to all our sponsors: Lancet Laboratories, Mary Ann Oncology, Medical Imaging centre, B Braun and BARD, we are deeply grateful for your continued support.